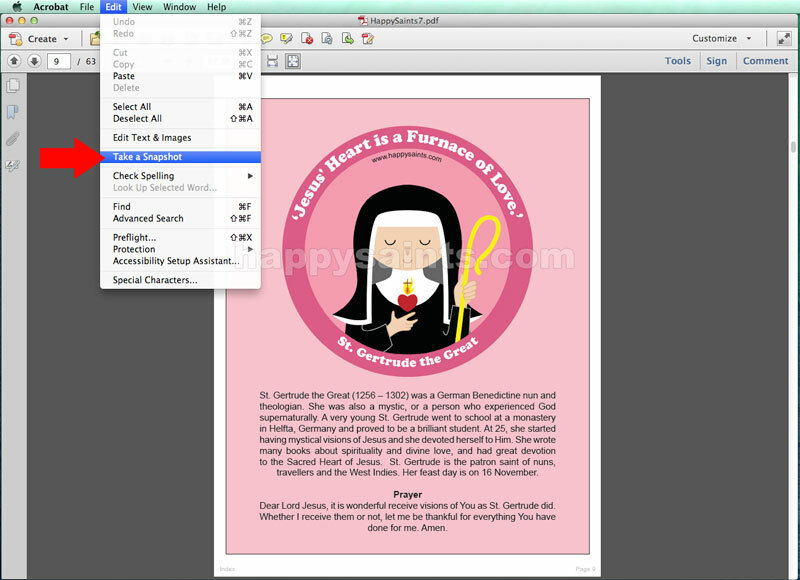 The Happy Saints collection of printable ebooks has been hugely popular among parents, schools, parishes and ministries for their religious activities. The high-quality artworks can printed for personal, private and non-commercial projects. The high-quality artworks are formatted as posters, cards, coloring pages and badges; but sometimes users want to customize them for their own games and activities. Many people have asked me how to extract the images from the ebooks for their own projects. All Happy Saints ebooks are locked and password-protected for copyright reasons. You will not be able to directly open them in professional softwares such as Photoshop or Illustrator. Click and drag to select the area of the image desired. Paste the copied image into your editing software e.g. MS Word, Photoshop etc. 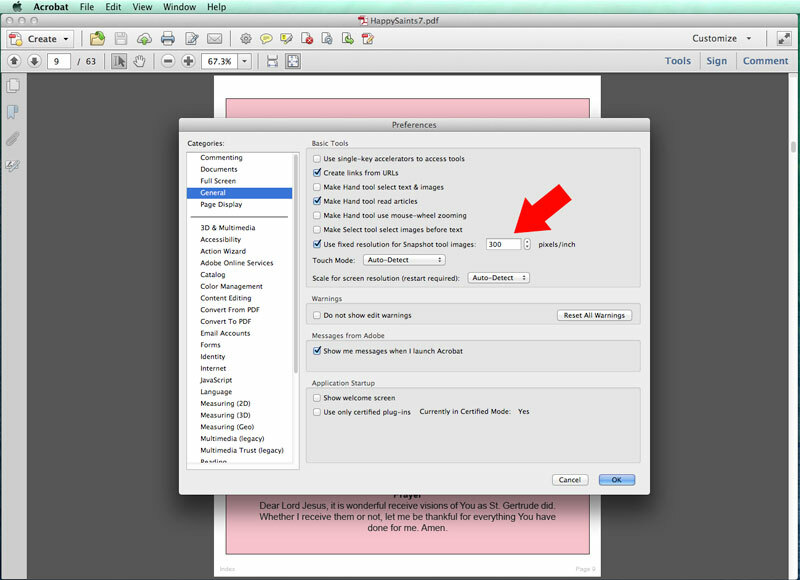 If you find that the pasted image is too low quality and pixelated, you may need to tweak the settings in your Adobe Reader. Click on Edit > Preferences. Go to the 'General' section. Check 'Use fixed resolution for Snapshot tool images' and set the number of pixels/inches to 300. Try extracting the image again. I hope this helps for those of you who are making your own custom Happy Saints activities! Please do share them with me by emailing some photos, if you can. Thank you for your support! Hope you have a blessed time using them!